Recent years have seen a dramatic spike in Alessandro Alessandroni reissues, and for good reason. Despite living in the shadow of frequent collaborator Ennio Morricone, Alessandroni repeatedly carved his own musical path, with each progressive reissue presenting a true pioneer in everything from LSD-slathered psych-rock to atmospheric lounge-jazz to ambient music, noise and even techno. It's this free-moving, chameleon-like approach that's made Alessandroni's music so fascinating, but rarely has the Italian composer sounded as free as he does on Braen & Raskovich's newly unearthed Drammatico. Comprising Alessandroni (aka Braen) and fellow Italian maestro Giuliano Sorgini (aka Raskovich), the duo composed the impossible-to-find library album at some point in the early '70s, coming out initially via the little-known Panda Records and now through Italy's Sonor Music Editions. Rumoured to have been recorded in Alessandroni's loft in Rome, Drammatico arrived as a concept album of sorts, using drums, percussion and modular synthesizers to evoke images of war, poverty and human conflict. And it does this in a way that more than lives up to its title. The frightening bomb-drop sonics of "Incubo Dal Cielo" ("Nightmare in the Sky," in English) set the tone for the most primal, raw and downright animalistic album either composer had ever recorded. With the full-on drum attacks at the forefront, Drammatico opens up and expands both musically and mentally, layering in buzzing synth work, fuzz guitars and some downright eerie horror piano throughout — not to mention some seriously heavy atmospheres as trippy as they are terrifying. 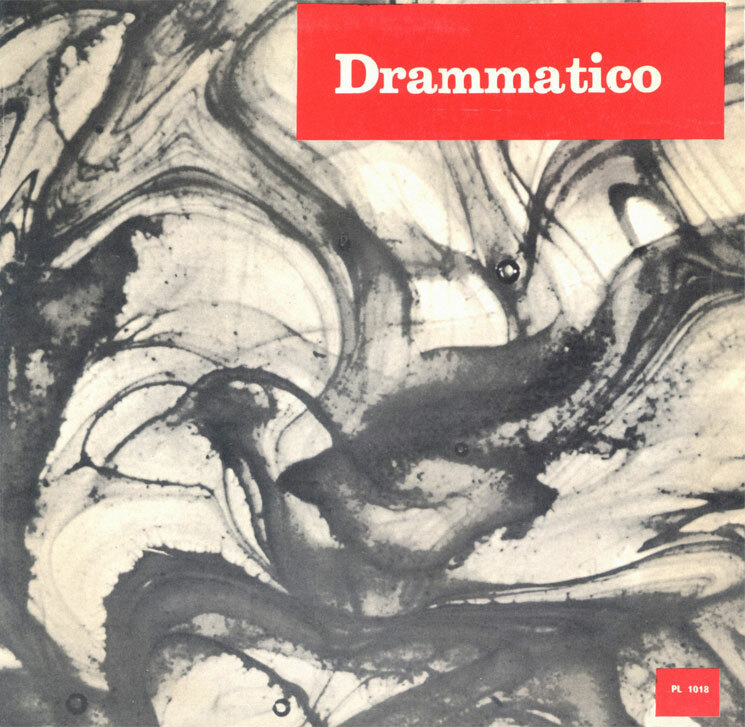 In many ways, Drammatico hits on various sonic touchstones that would go on to become commonplace in industrial and early post-punk (see Throbbing Gristle and Swell Maps), mostly thanks to the primitive, almost crude synthesizer sounds colliding head-on with almost tribal rhythms. It's this sonic approach that draws Drammatico closest to Alessandroni's Industrial collection, through from a much freakier headspace.